Ok, so I wasn’t even planning to be super impressed by the whole path of totality eclipse business. Honestly I wasn’t. 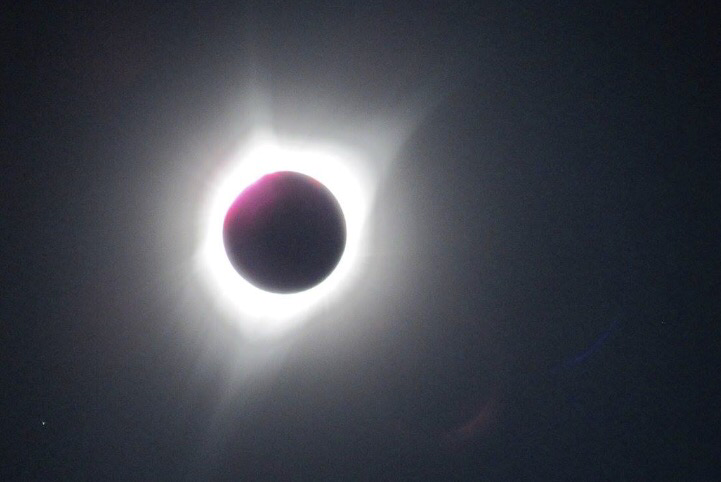 There was so much hype and hubub leading up to this once in a lifetime event here in Oregon since we were in the “Path of Totality”. But I thought, yeah I’ll get some glasses, and see what the hype is all about, it will be sort of cool to see. But then, watching it, experiencing it, and wow….it was by far one of the coolest things I have ever seen!!! 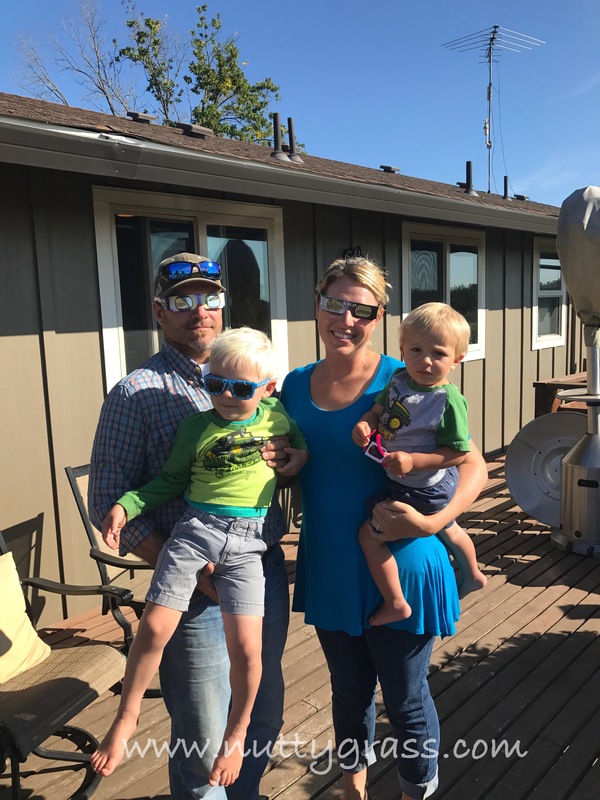 We had a good get together at the farm, lots of laughs over silly glasses, a few jokes about flying up to the heavens and mostly a very cool time watching the moon totally cover the sun. 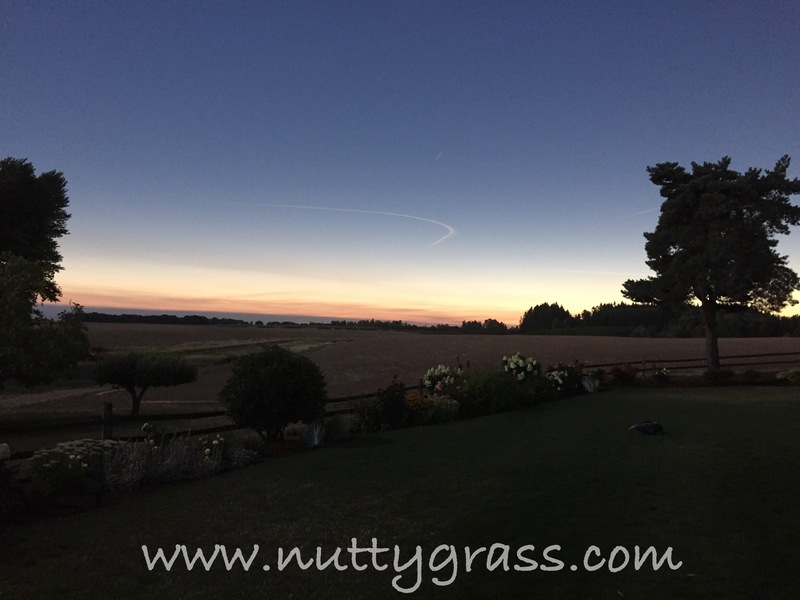 At the farm we had around one and half minutes of he moon totally covering the sun. Or “eating the sun” as Hoot put it! As the moon started the cover the temperature dropped quite a bit. The darkness started to set in. When totality hit it truly did get dark or at least a dark twilight all around. Even the horizons looked like sunset or sunrise. 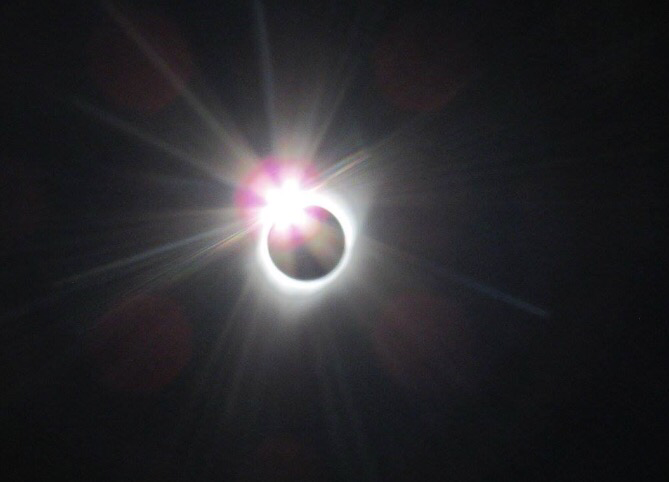 But probably the most cool was being able to take off the glasses an look straight at the moon covering the sun with the “diamond ring” circling it. Even Auggie was cheering and pointing! *Sidenote for all that noticed…that is not actually WD-40 Auggie is sucking on! It was incredible! I was a skeptic, but after getting to have the experience first hand, it was absolutely totally worth it! Now I say this also with the filter that I did not have a horrendous drive home, my 2 minute commute from the farm looked more like 4 minutes with all the traffic. While some others spent hours and hours and hours…and hours sitting in traffic. Even on back roads, following the event. All in all….I now get what all the hype is about! 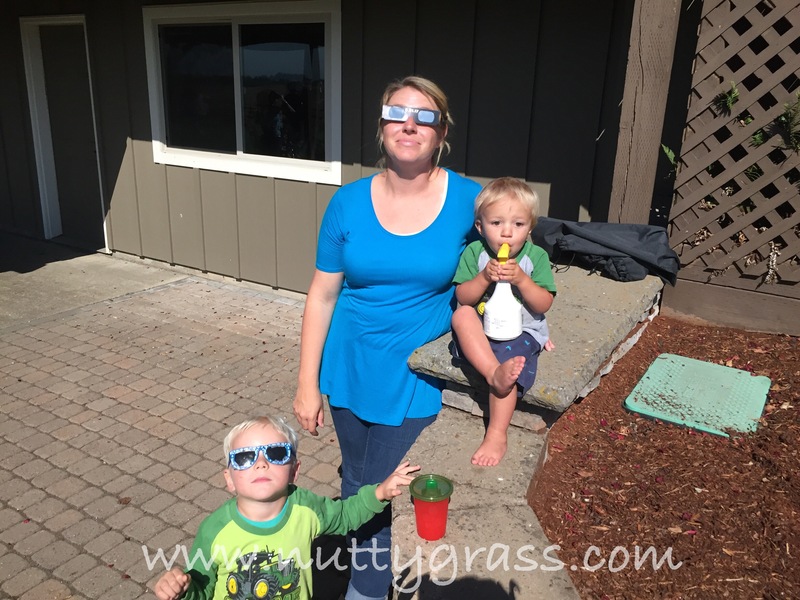 Hope you all got to enjoy a little eclipse action as well! 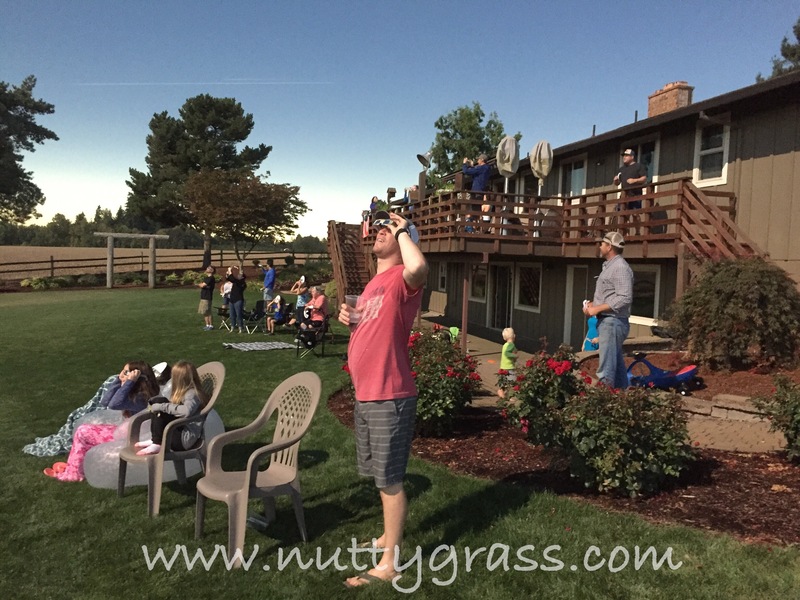 And if you ever find yourself in the “Path of Totality” it’s well worth grabbing some silly glasses and having a party! **Thank you Karen Kirsch and Amelia Safley for letting me borrow some photos…we were too busy staring and forgot to take any! When I mentioned in my “Happy birthday to my Farmer” post that Matt works at the beck and call of the weather, I wasn’t kidding! It’s been doozy of a wet season here in Oregon. 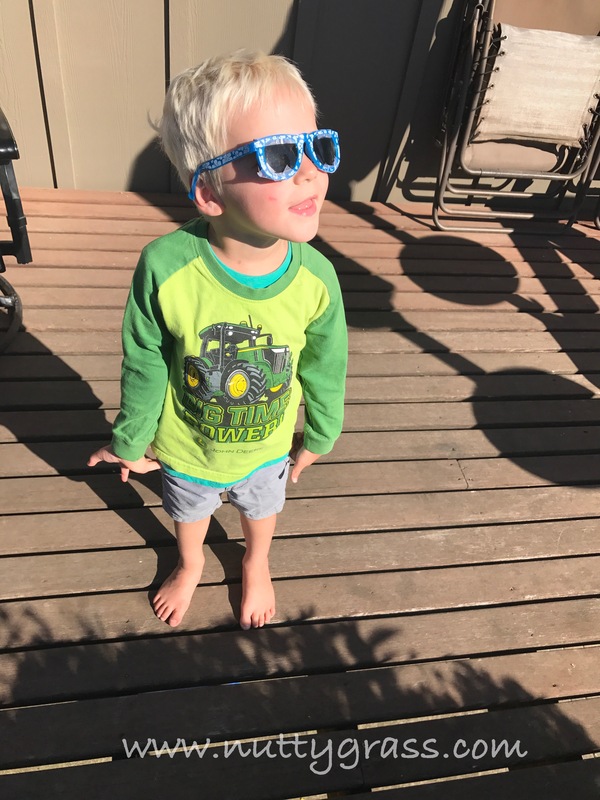 We have been waiting, and waiting…and waiting for enough good days in a row to get crops planted, which means that our Easter plans turned a bit from the traditional. Matt was up early to head out to the radish field. We had to get preplant fertilizer spread, pre-emergent sprayed, work the ground another time, then finally it looked like we might get the window to get the radish seed in the ground. Meanwhile I woke up early with the boys, threw Easter grass from the Easter Bunny all over the house, and headed to church with a few cousins. We decided that someone better pray that we got this radish field planted ( and ask for forgiveness for working on Easter Sunday!!) The boys and I delivered lunch to the farm (because if you have people working on Sunday, you better keep them fed! 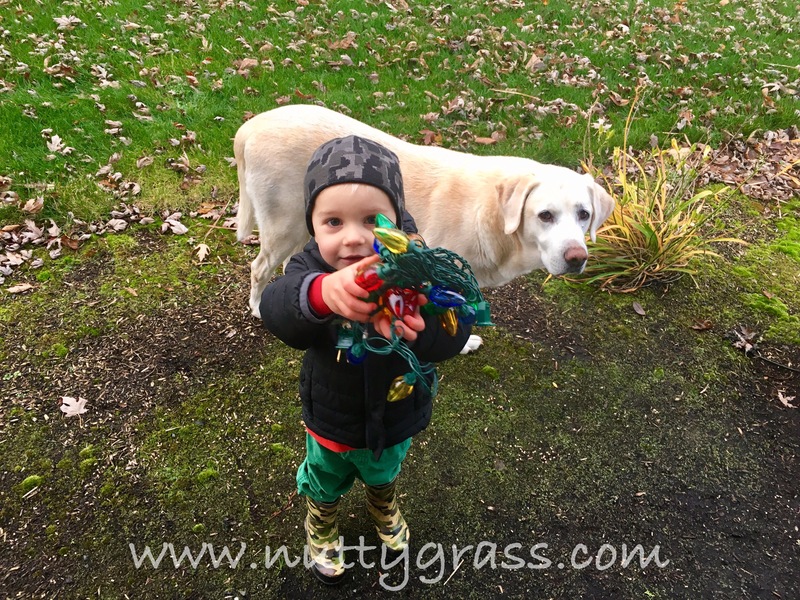 ), headed home for naps and then back out in the field (where the boys want to be all the time anyway!). Hoot proved that farming can be done without pants without any problems (good to know!). And Auggie almost kept his Easter clothes clean before we made it back to my parents for Easter dinner. Things all went pretty smoothly, even for a Sunday. The weather cooperated and right around dinner time the guys came in from the field, tired and hungry, we had a big dinner all ready for them. I don’t know if they have ever earned their Easter dinner so much as this year. This is exactly why farming can be so stressful, so risky, and such a seven day a week job. We work when we can, because those days in some years so limited. And I’m so grateful that I work with folks who understand when I come up to them and timidly ask if they could work on Easter Sunday, they look at you and don’t even hesitate to say yes, because they know I wouldn’t even ask if it weren’t a necessity. They showed up, they worked hard, and we got at least one of our spring crops planted for 2017!!! I know we weren’t the only farmers who worked all Easter to get crops in the ground, and I know that we will talk about the Easter that we planted radish, for a long time to come! 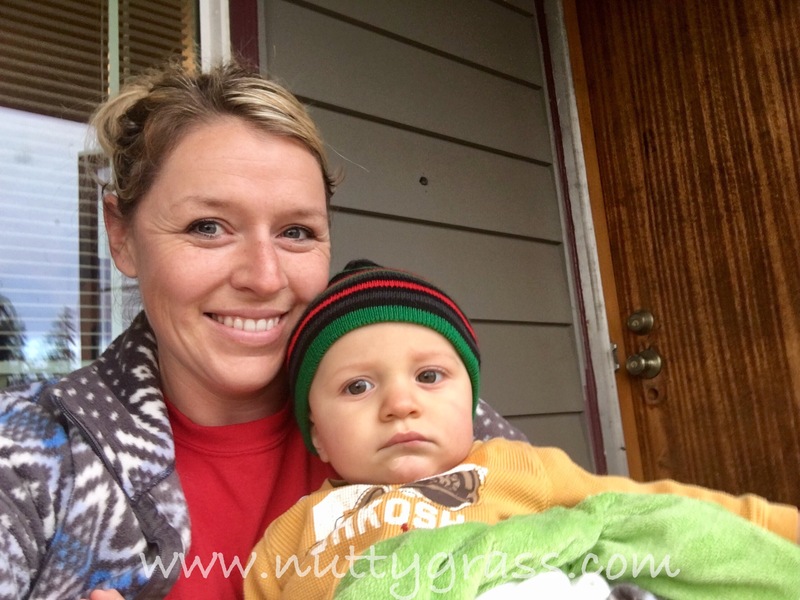 While I haven’t been busy blogging the past few months….life as you can imagine is always busy busy busy! 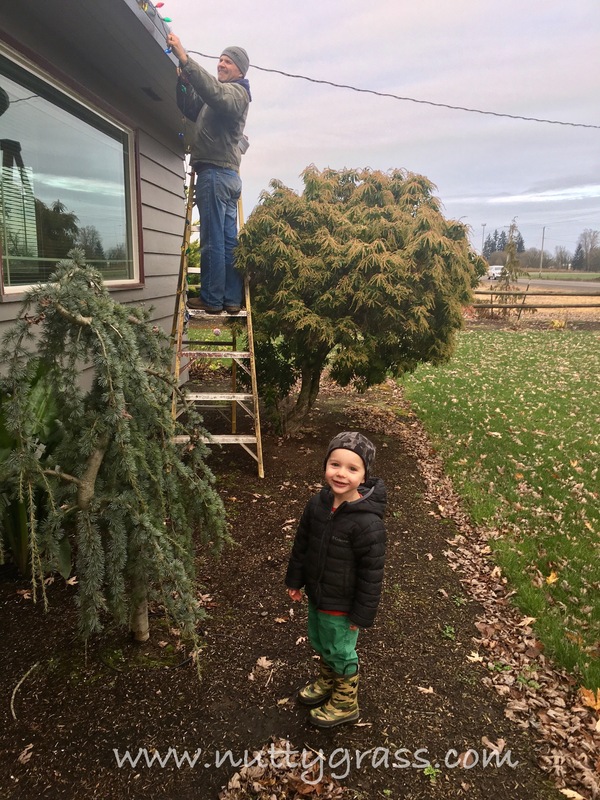 Got our Christmas Lights put up, which made our 2 year old ecstatic! I can’t even begin to tell you how excited it makes us for Christmas when we see how excited our little man is! Auggie on the other hand will know what all this hubbub is about next year, so far he’s just annoyed that I dont let him crawl in the wet lawn. Only 22 days until Christmas!! !